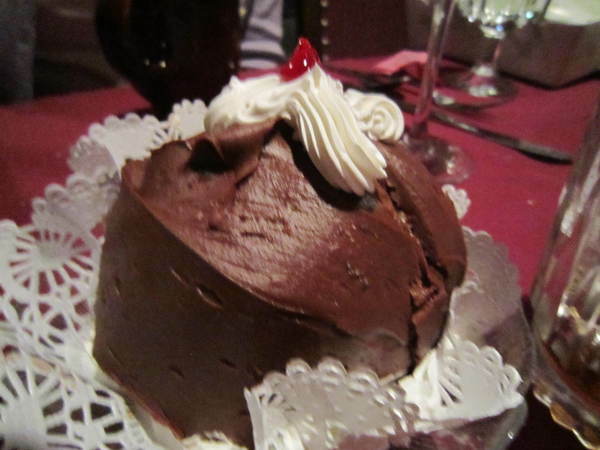 Carrie Cerino’s is an institution on the southwest side of town in North Royalton. The place is huge, and the decor is “old school.” People come here for the food and not necessarily for the ambiance. The dining room we ate in was cozy, but rather dated. They also offer party rooms for weddings, reunions and other larger celebrations. 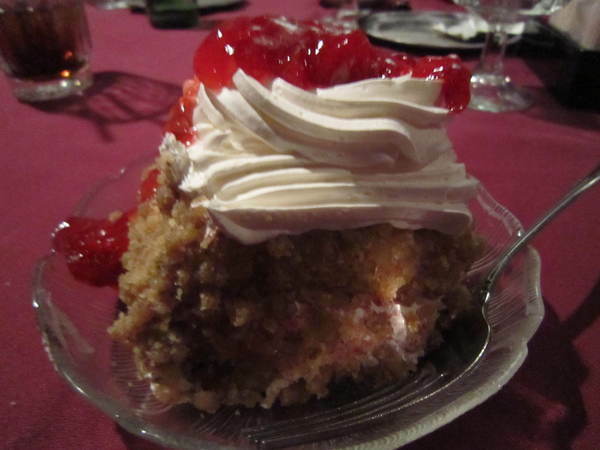 Carrie Cerino opened a bakery in Maple Heights in 1945 with $3,000 bank loan. She branched into catering in 1955 and bought the location where the restaurant is in 1962. They kept adding extensions to the property, and it truly is a family business. Four generations work at Cerino restaurants, and her grandson Eddie Cerino has branched out to open pizzerias in Parma and Lakewood. I regret I never had the chance to try Dominic Cerino III’s cooking and the Blue Egg Ravioli. Dominic is missed by many foodies, may he rest in peace. 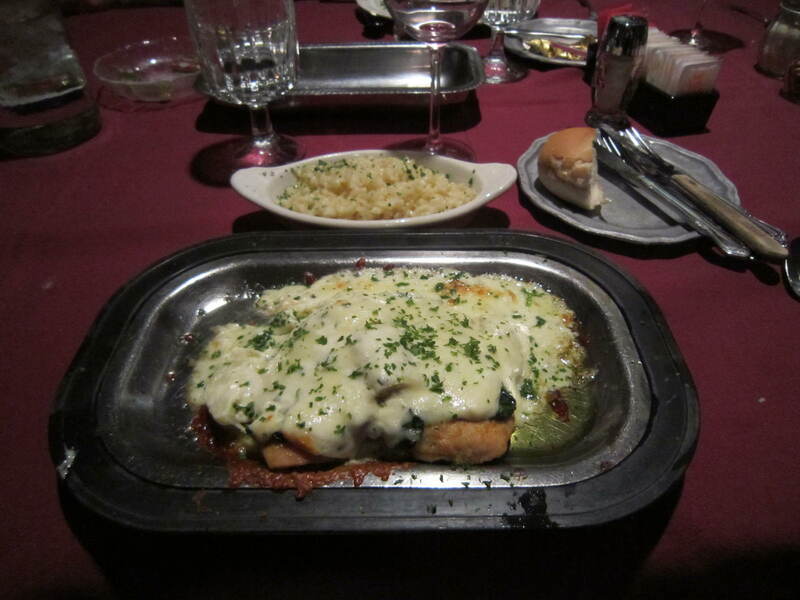 As for the Blue Egg Ravioli, you had to call and order it ahead of time, but they stopped serving it several years ago. This is not a hip place, but it also does not contend to be. It’s all about the food. 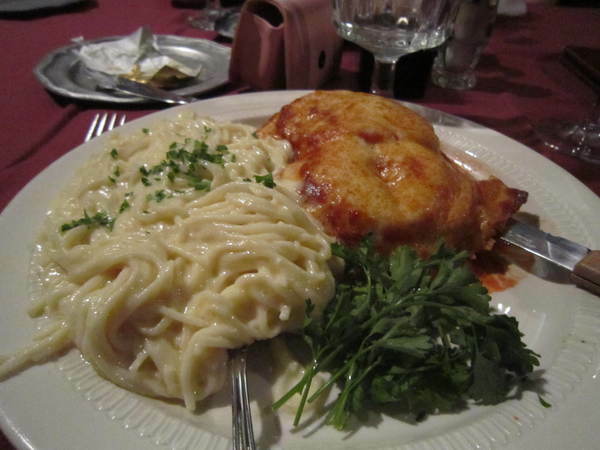 The food and menu is very traditional: bread, soup or salad, and pasta come with every meal. The pasta is homemade and delicious. The bread came out warm, and the butter was nice and soft. There is nothing I hate more than cold, rock-hard butter. 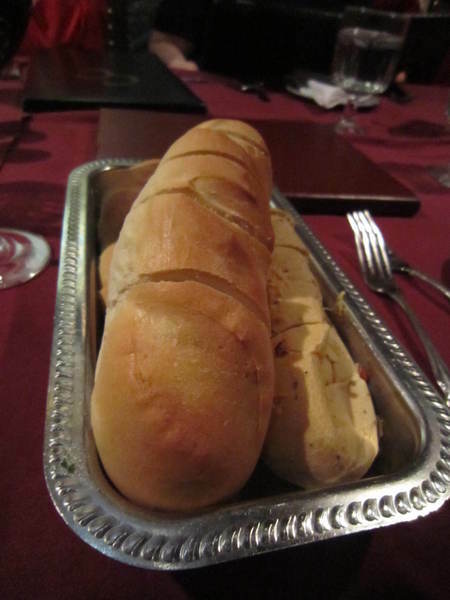 There were two choices of bread – one plain and one with an herb mix and sun-dried tomatoes. 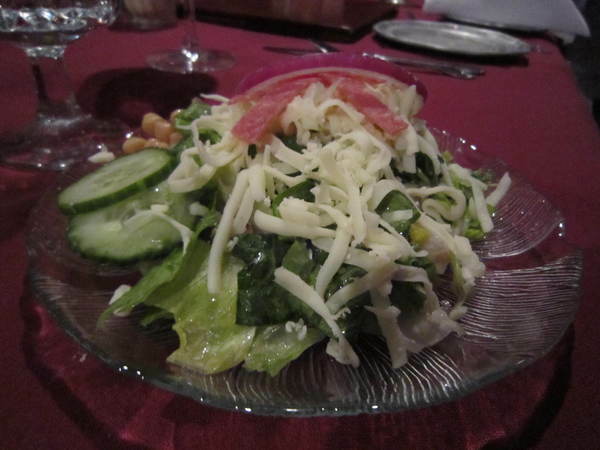 Each dish comes with your choice of a soup or salad. I ordered the soup as my side and then ordered a side salad for an additional $1.95. The salad was pretty decent and was topped with some cucumbers, chickpeas, tomatoes, shredded cheese and a couple small slices of salami. The dressing was a bright Italian. I am a huge fan of Italian wedding soup, so my choice was easy. 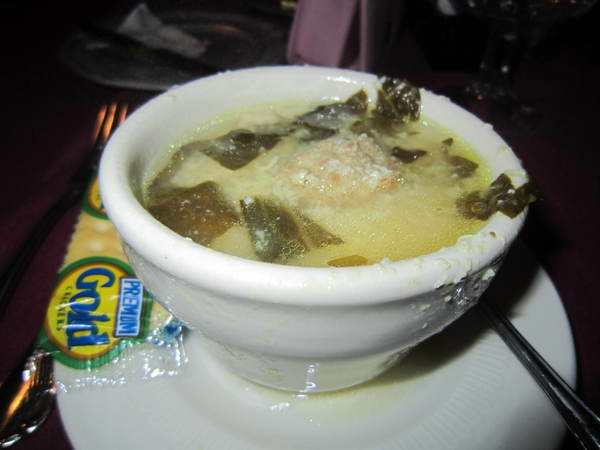 The Italian wedding soup which was very flavorful and an interesting twist to a traditional recipe. There was one big meatball in the middle and some fresh spinach leaves and little bits of chicken throughout the broth. It was a very good soup. One of my fellow diners ordered the French Onion Soup and was extremely pleased with it. 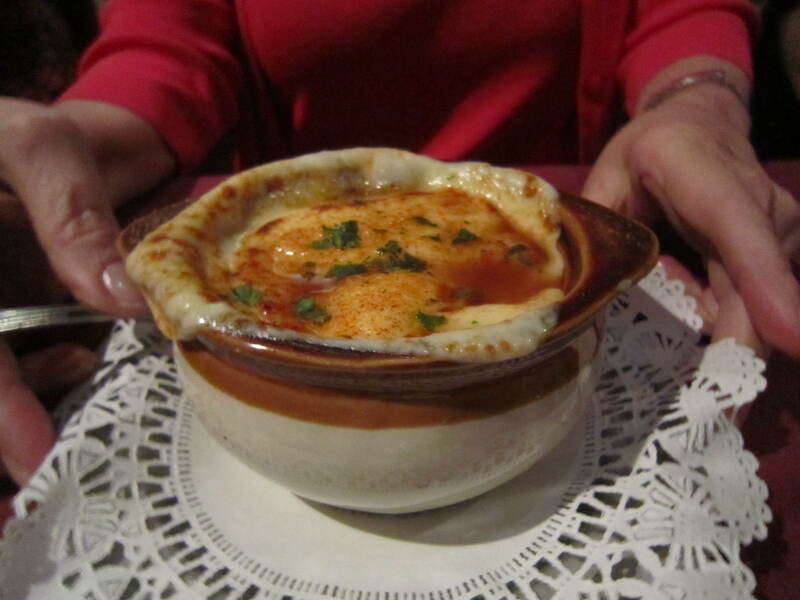 I love a good French onion soup, and this one had scads of cheese, which is a bonus. I’ll be sure to order it myself some time. 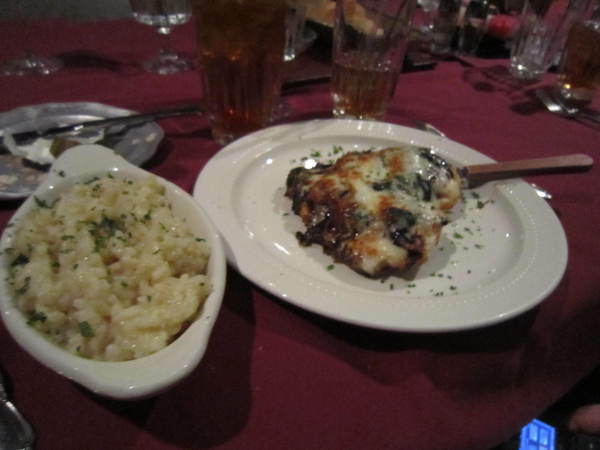 I had heard great things about their chicken parmesan and white sauce, so my choice was an easy one. 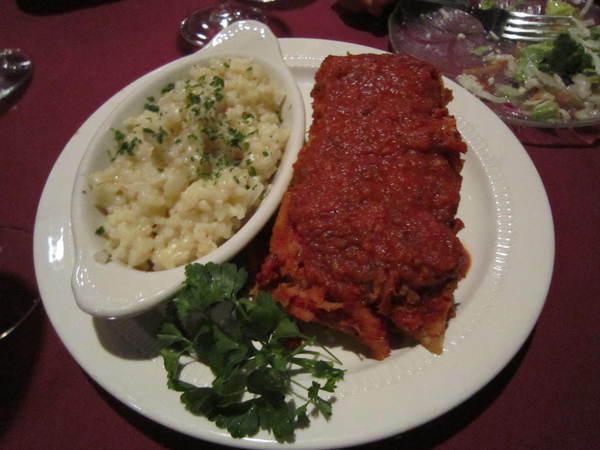 The chicken parmesan is a sauteed boneless, skinless breast of chicken finished in the oven with sliced tomato, prosciuttini and mozzarella. The chicken was well-seasoned and moist. It came with housemade spaghetti with a choice of sauce. I of course ordered the white sauce because it is fairly unique. I have no idea what is in the white sauce, but it wasn’t overpowering at all. It was, in fact, quite subtle and not at all cheesy or too creamy. The pasta was cooked perfectly al dente, and the sauce was delicious. It was a really nice accompaniment to the chicken. 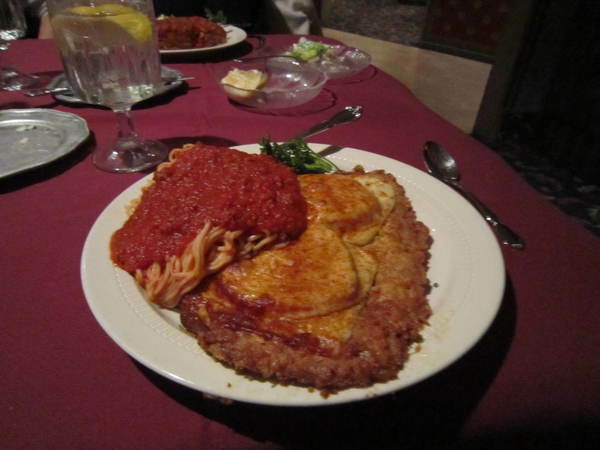 Most of my fellow diners ordered some version of the chicken parm. 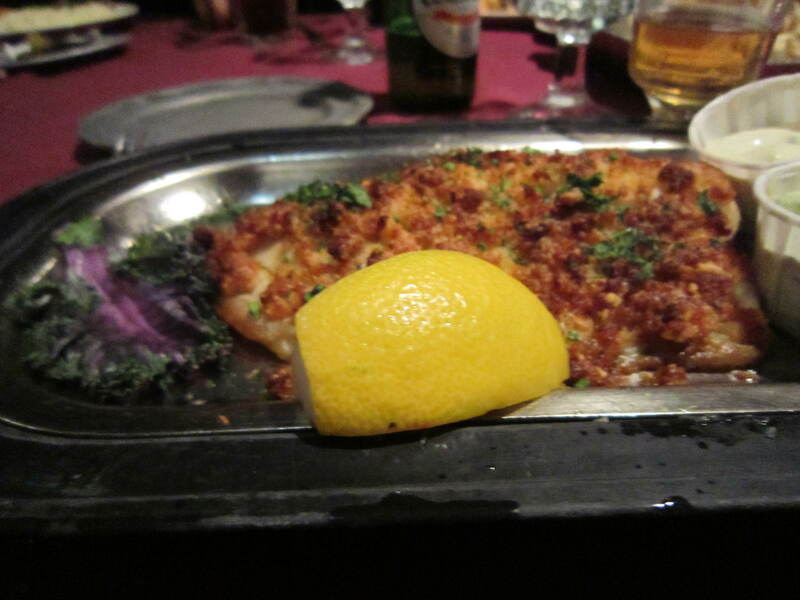 One friend ordered the Parmesan Crusted Tilapia and was extremely pleased with it. It was tender, flaky and perfectly broiled. The desserts there were nothing but amazing. 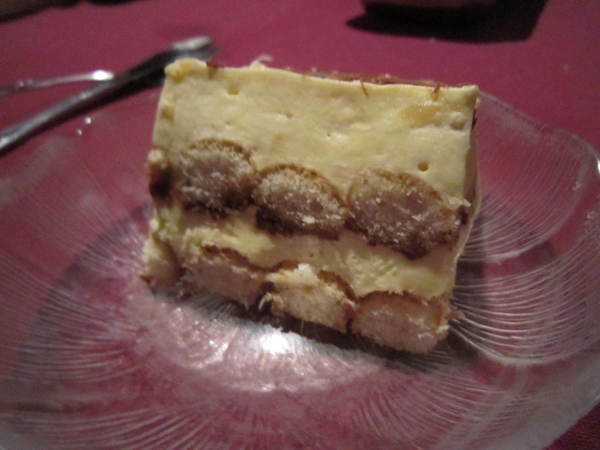 The two standouts were the chocolate bomb and the tiramisu, but the cassata cake was also really well executed. There is a reason Carrie Cerino’s has such a large location – it draws the crowds because they consistently turn out great food at a reasonable price. 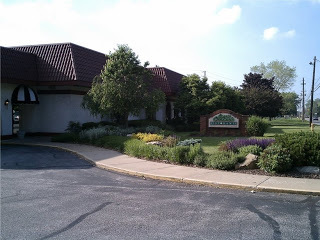 They are open for lunch Tuesday – Friday from 11:30 am to 3:00 pm and dinner Tuesday – Thursday from 4:00 pm to 9:00 pm. Friday and Saturday they are open from 4:00 pm to 10:00 pm, and on Sunday from 1:00 pm to 6:00 pm. They are also open on Mondays in December. 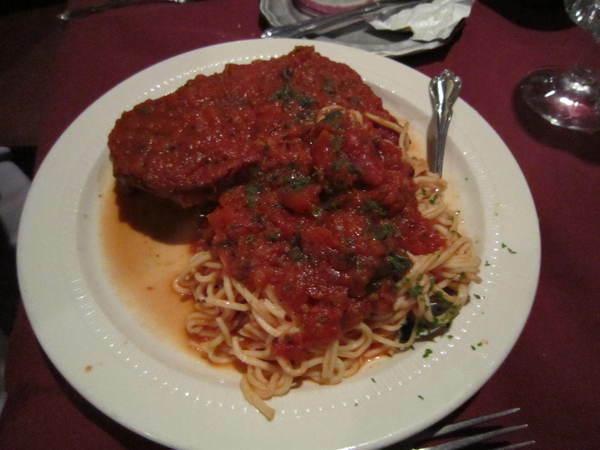 I believe this is the Veal Parmesan.